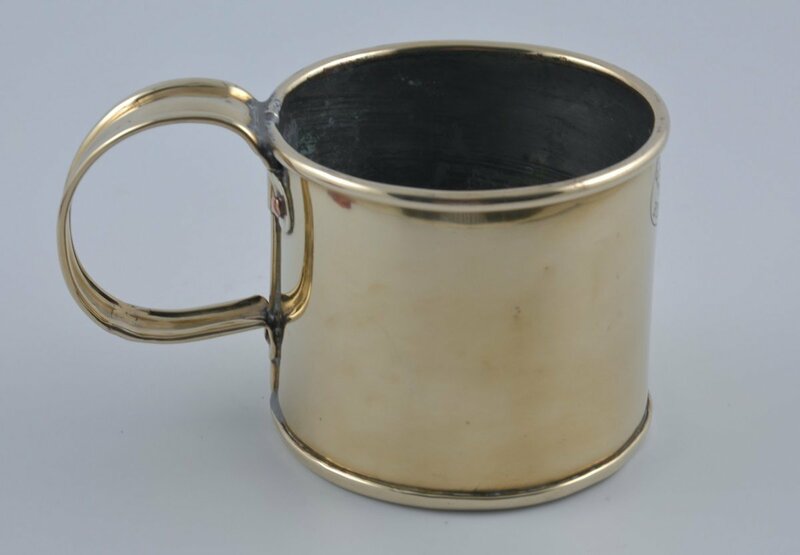 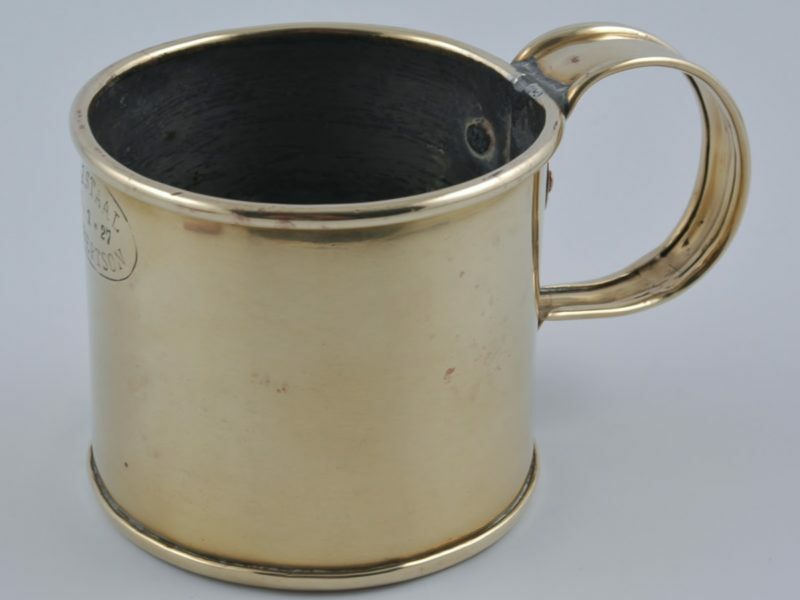 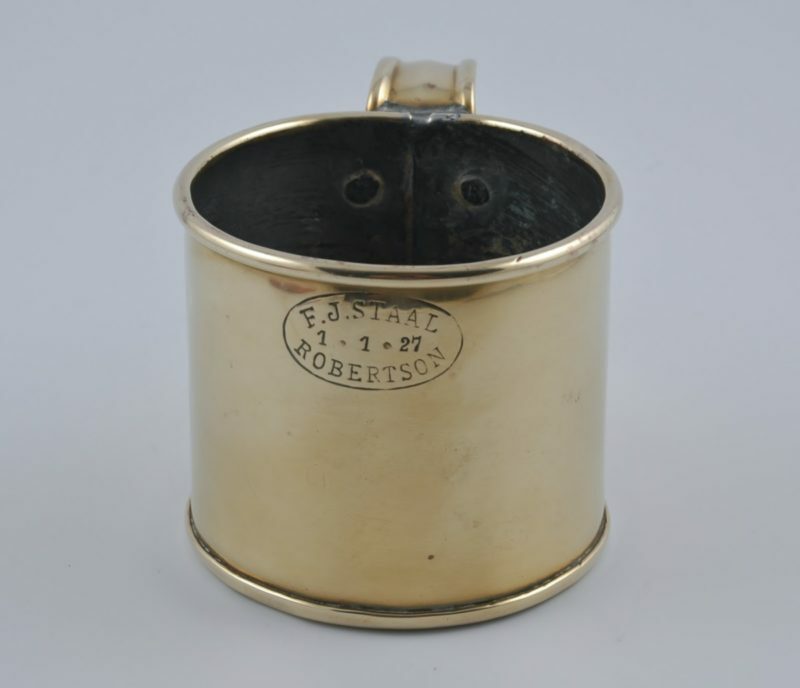 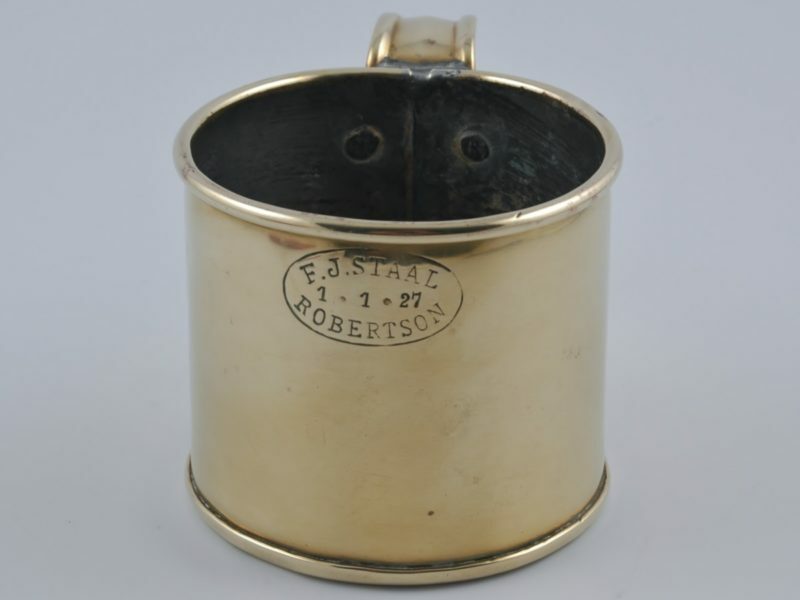 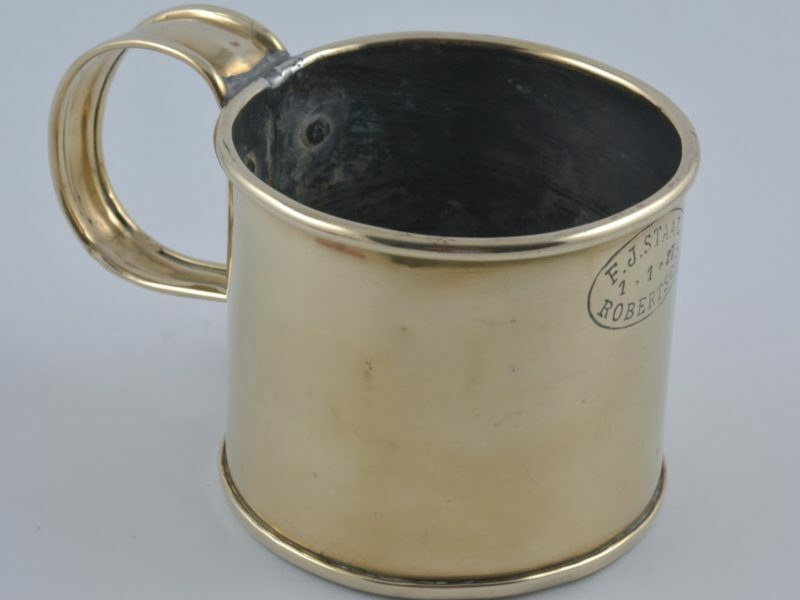 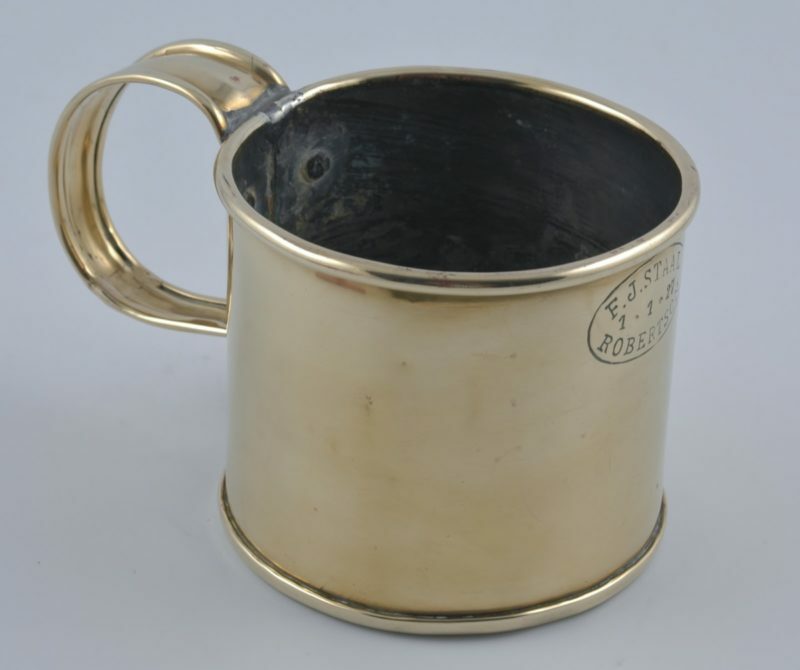 Cape brass mug by Frederik Johannes Staal, dated 1 st January 1927, Robertson. 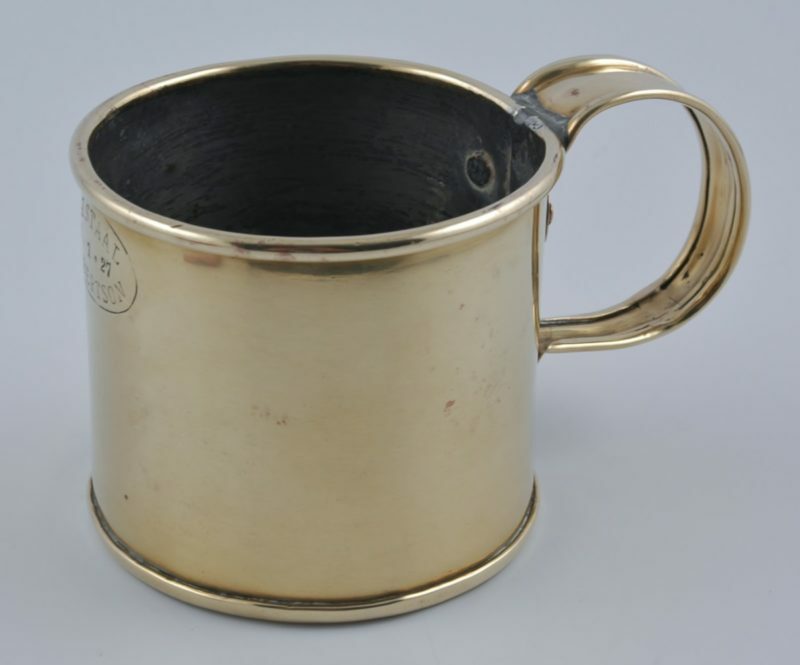 See Page 128 of ‘The Cape Coppersmith’ by Marius le Roux for a similar example. 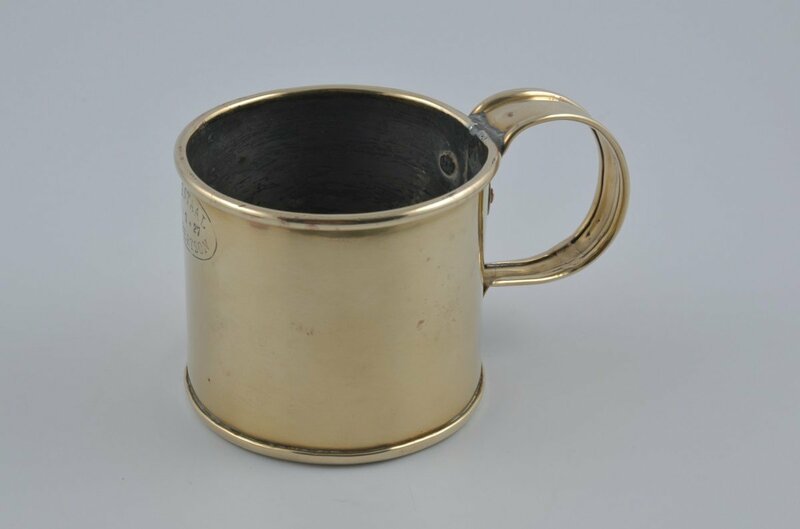 Dimensions: 9,2 cm high by 10,3 cm diameter.